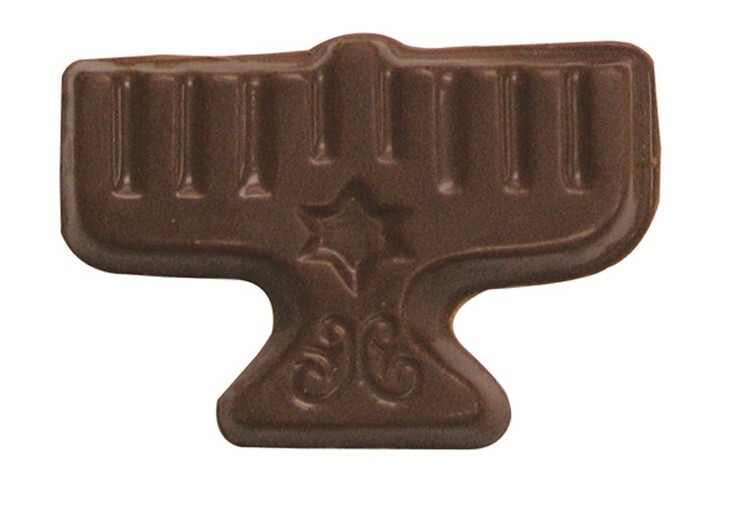 Custom molded solid chocolate candy Menorah candle Judaism symbol, wrapped in cello bag tied with ribbon with imprinted label applied to bag. Makes a great food gift for Jewish Hanukkah, Purim or Passover. Available in: White, Dark, Dark Mint, Milk Chocolate Flavors.